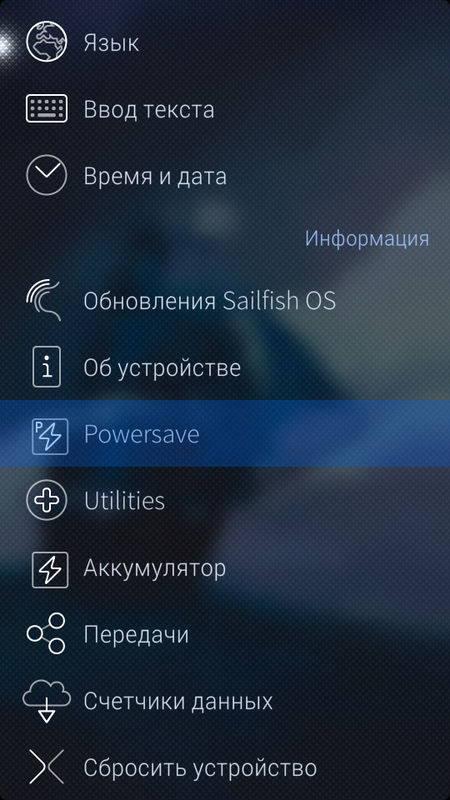 Powersave menu entry for Jolla Settings. Are you going to integrate it with new battery menu? It would be nice to have option to force powersave mode in battery menu. I know there is option like this but it's neccessery to turn option every time aftem plug in. Hey Bocephus, my sweet, try install it for fun. what wrong with you, dude? Works on Sailfish X now? What does enabling powersave do exactly? nobody know actually. this is the strangest thing i ever seen in my life. Ha ha ha ha, the most subtle answer I have seen in a long time. It is good to have you back man! Ok, then I guess there's no reason to install it. Thank you dev, working fine now! I added translations to pt_BR at transifex project page. Seeing as how the last update was over a year before Sailfish X was released, a valid question would be if this package works on the Xperia X. Also, after 3 years the question about what enabling powersave mode actually does has still not been answered. I see the icon in settings in "system" section instead of "info" section like your screenshots. It's not a big deal to be reported. And i'm so lazy to update screenshots, because it doesnt matter . I did not have icons on the left of the menu "Powersave" in Settings. After some investiggations I have found that the icons of Powersave were in Folder "/opt/alien/usr/share/themes/jolla-ambient/meegotouch/icons/" but all others icons are in Folder "/opt/alien/usr/share/themes/sailfish-default/meegotouch/z1.0/icons/". Or you can do this with File Browser and FBRoot, if not so confident with command line. And the two icons disappeared again from the options page after the latest update. Doesn't matter, great tweak! Andrey, can you update it for Tablet, please. sorry i have reflashed my tablet to android, but i can try to remove dependency on psmdbus, i hope system dbus module contains fixies for my problem. Yes, please, try to create without dependencies. Thanks. 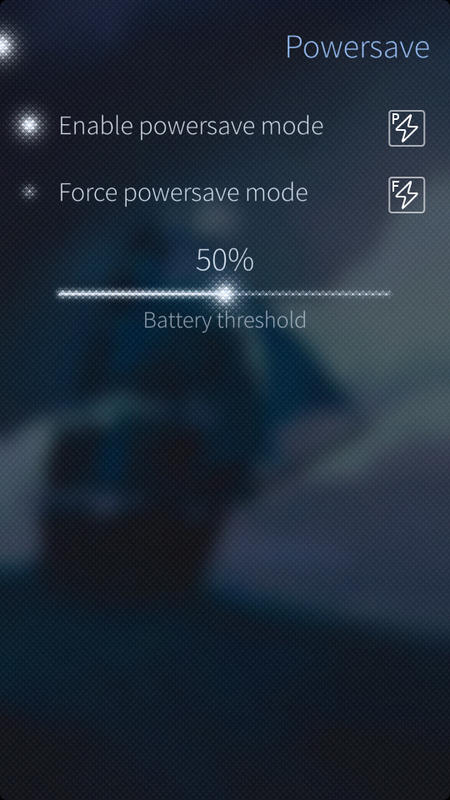 For me the patch is working on SFOS 2.0.1.7 but for a battery threshold >25% it's always on powersaving mode. Will this work on Sailfish 2.0.10 ? It just enabling system "powersave" option, which is not yet bind to any UI elements. And how it works internally i don't know. Thank you very much for clarification. I try to dig into it and find out what it does. Yeah, I mean, how does it save power? Limiting processing power, cutting data connections or reducing wake up ticks?